VAIL, Colorado – Rescuers teamed up Tuesday for Eagle County’s first backcountry rescue involving the new TriState CareFlight helicopter, launched in February at Eagle County Regional Airport. Vail Mountain Rescue Group received a cell phone call Tuesday afternoon reporting that a 62-year-old hiker had fallen in the Holy Cross Wilderness some 10 miles from the Cross Creek trailhead. Fourteen members of Vail Mountain Rescue Group and a paramedic from Eagle County Ambulance District were dispatched on the ground to locate the victim. Because of the nature of the reported injuries, the uncertain location of the patient and the length of a patient evacuation from this area, a flight team from TriState CareFlight was dispatched to assist with the search operation and to transport members of Vail Mountain Rescue Group to a landing zone a half-mile from the patient. The flight team responding was pilot Scot Marshall, flight nurse Kellye Simpson and flight paramedic Dave Reynolds, all of whom are trained as Critical Care Paramedics. 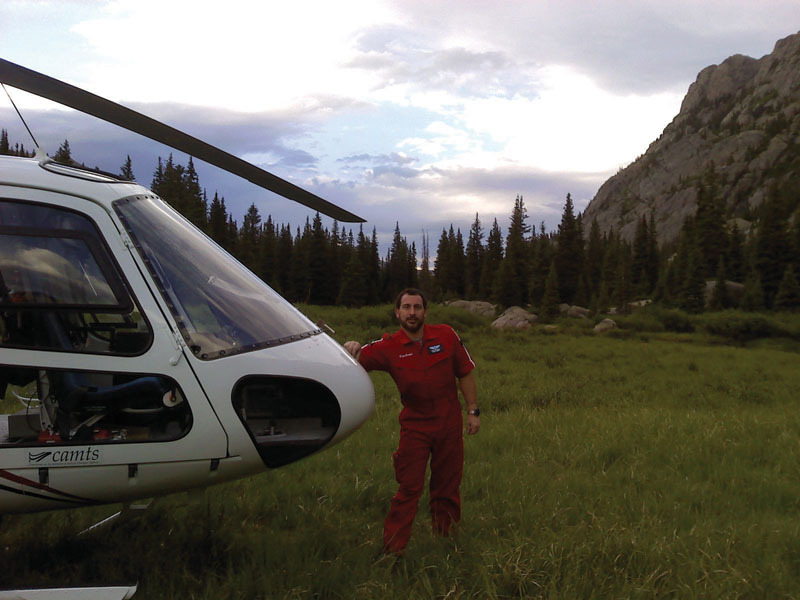 The team utilized its state-of-the art Euro-copter A Star B3 copter, best known for being adept at high altitude, to locate the patient and to fly him to Vail Valley Medical Center. The patient was treated at VVMC Emergency Department and was released the next morning.